The future of motorcycles is being forged today. Leading manufacturers are developing new technologies with the potential to revolutionize the riding experience. 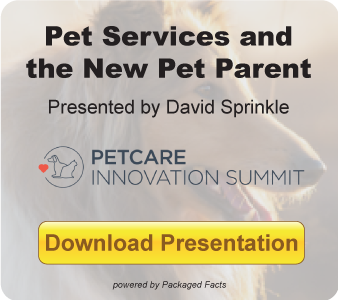 This wave of innovation, however, has garnered sparse news coverage. The media has focused on developments in the automotive industry such as self-driving cars and electric vehicles, paying little attention to similar trends in motorcycles. Two groundbreaking technologies unveiled by BMW and Kawasaki show where the motorcycle industry is heading. By investing heavily in innovation, major producers hope to improve rider safety and make the riding experience more enjoyable. 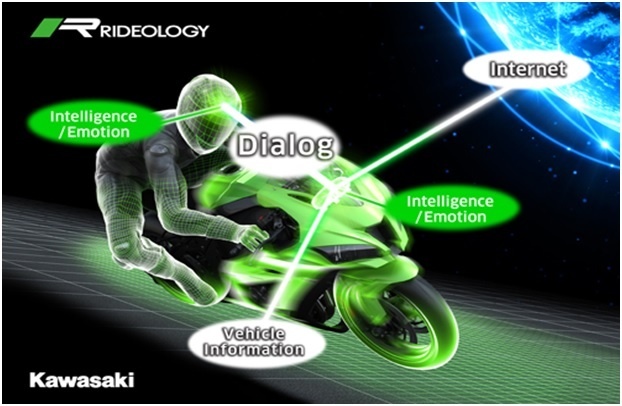 In September, Kawasaki announced that its next generation of motorcycles will feature an “Emotion Generation Engine and Natural Language Dialogue System.” This system gives the bike a human-like personality and allows it to adapt to the preferences and riding habits of the individual rider. Using artificial intelligence and other communication technologies, the motorcycle will solicit verbal input from the operator to pick up on the rider’s emotions and intentions. In addition to offering helpful hints and suggestions about operating the motorcycle, Kawasaki’s machines will be programmed to develop a distinctive personality for each rider, reflecting his or her individual riding preferences, skills, and styles. Using advanced electronic management technology, the machine can automatically adjust a wide range of settings to improve its performance, increase rider safety, and make operating the motorcycle easier. Kawasaki’s technology will be able to regulate many different aspects of the motorcycle, including suspension, braking, and acceleration settings. By developing motorcycles that can adapt to the operator and automatically make adjustments in real time, Kawasaki hopes to fundamentally transform the riding experience. 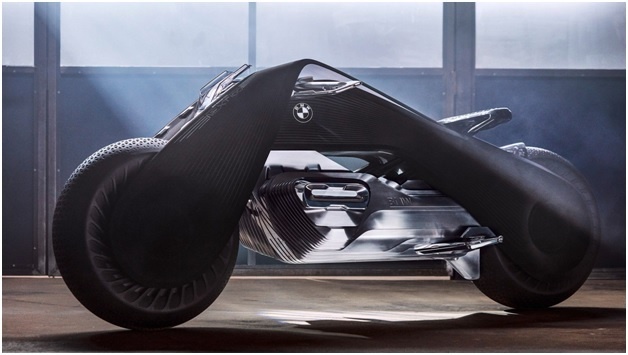 With its VISION NEXT 100 concept motorcycle, BMW envisions long-term changes in both motorcycles and the riding experience. The VISION NEXT 100 breaks new ground in several different ways. For example, the VISION NEXT 100 greatly improves rider safety with an innovative gyroscope-aided, self-balancing system that keeps the bike upright, both when it’s in motion and stationary. The VISION NEXT 100 will also use a zero-emission, twin-engine that changes shape based on whether the motorcycle is standing or moving. It will also include BMW’s THE VISOR glasses, which span the rider’s entire field of vision and provide real-time information covering everything from road conditions to motorcycle performance. The user feeding DIGITAL COMPANION system, which provides real-time advice about optimizing performance and potential dangers, can make adjustments to improve the riding experience and ensure rider safety. Finally, the VISION NEXT 100 will be paired with specially designed riding gear that is less burdensome and can provide heating and cooling functions to make riders more comfortable. These new technologies from BMW and Kawasaki have the potential to fundamentally change the relationship between man and motorcycle by making direct communication between the two possible and allowing the motorcycle to learn about the rider and automatically adjust to his or her riding preferences. Technological innovation will also have a profound impact on the motorcycle industry itself. Companies that can incorporate new technologies into their machines more effectively will have a strategic advantage over competitors. For additional information about technological innovation and competition in the global motorcycle industry, see The Freedonia Group’s World Motorcycles study. About the Author: Gleb Mytko is an Industry Analyst at The Freedonia Group, a leading international business research company that publishes more than 400 market research studies annually.